Let’s talk about chocolate. Beloved chocolate. White chocolate. Milk chocolate. 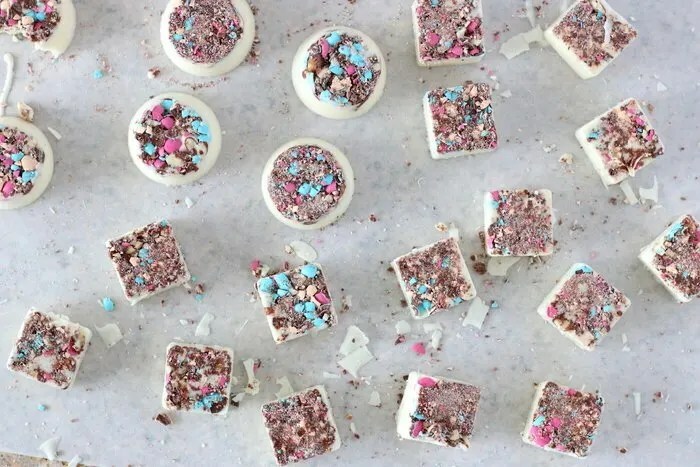 Candy-coated chocolate. Don’t let this scare you away… but if you’re new around here, it’s important to note that I’m a CPA (a certified professional accountant). In short, I’m a professional double checker. The sweet indulgence I’m sharing today has nothing to do with being a CPA, but the story behind it needed a little preface. Many years ago, when I was part of a much smaller team, the lead partner filled a snack and candy drawer each busy season as a sign of his appreciation for our hard work and long hours. Over time, the team grew… and the candy drawer grew. 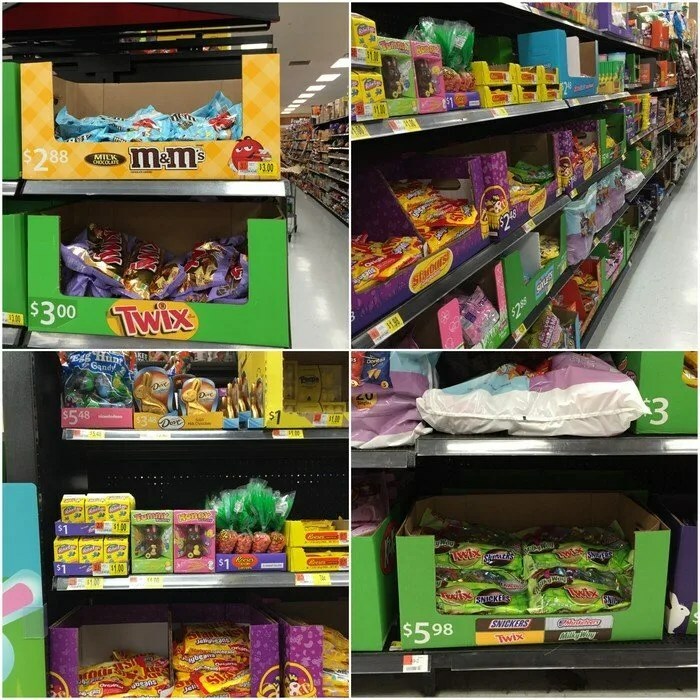 That candy drawer got demolished each year like sugar and chocolate were going out of style. Lots of work apparently led to lots of reasons to indulge in a sweet treat. This year, with a change in my responsibilities, I’m not as busy as many of my colleagues. 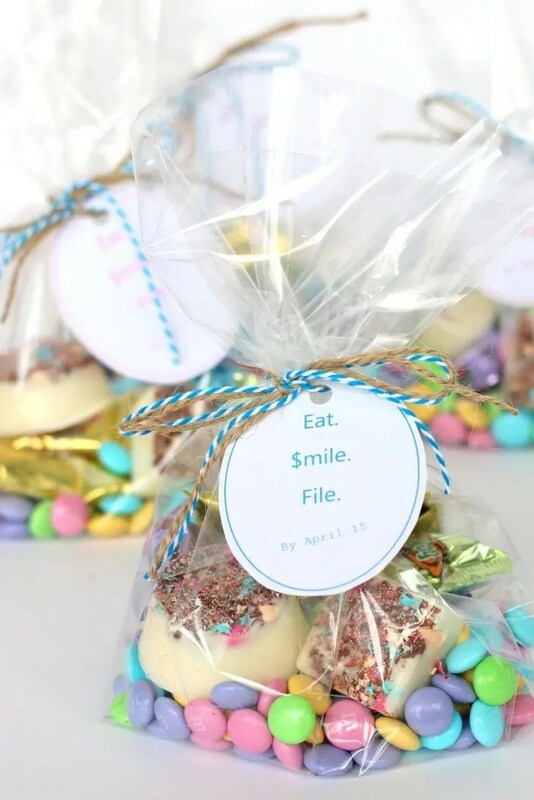 As a nod to their long hours (and love of candy and chocolate), I decided to put my creative accountant mind to work with super simple treat bags I knew they would enjoy. It also doesn’t hurt that busy season overlaps with Easter this year. 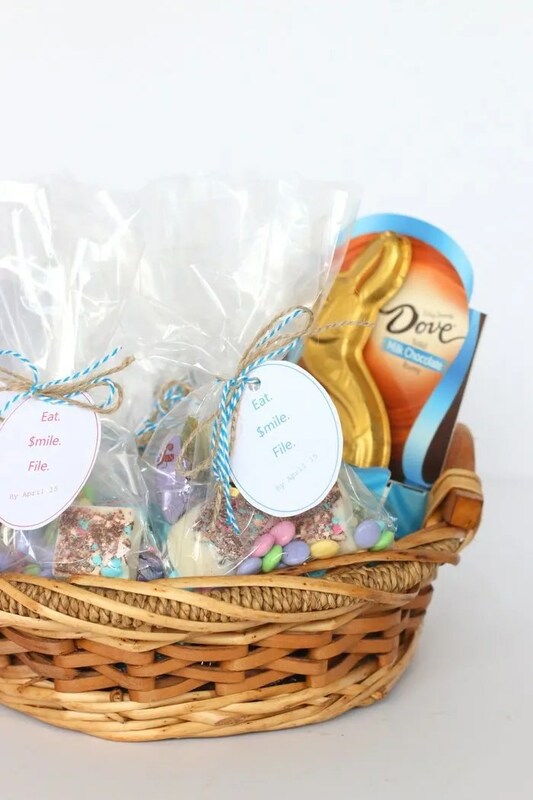 In addition to wrapping up some prepackaged candy, I made one small homemade addition to add a little unique touch to the bag, white chocolate squares with M&M’s® Easter Sundae on top. 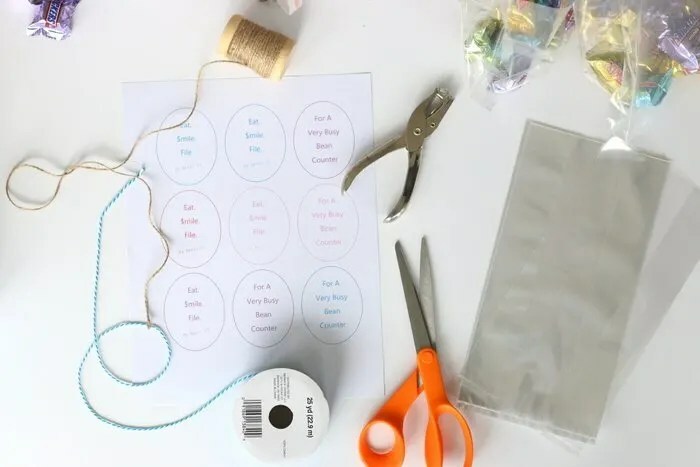 Even if you’re not a CPA (which you’re most likely not), you can definitely whip these up in no time for some friends, neighbors (or even yourself). I melted the chocolate in a double-boiler. You could also melt it in the microwave if you prefer (just be sure to melt and stir in 30 second increments so it doesn’t burn). 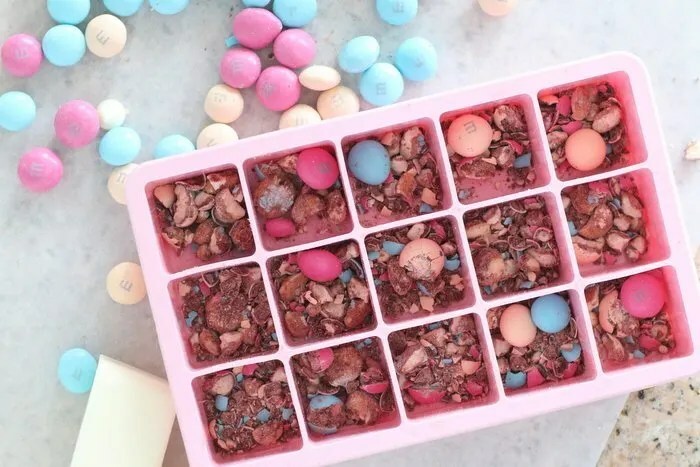 While the chocolate melts, crush the M&M’s® Easter Sundae in a plastic bag and sprinkle in a silicon tray. 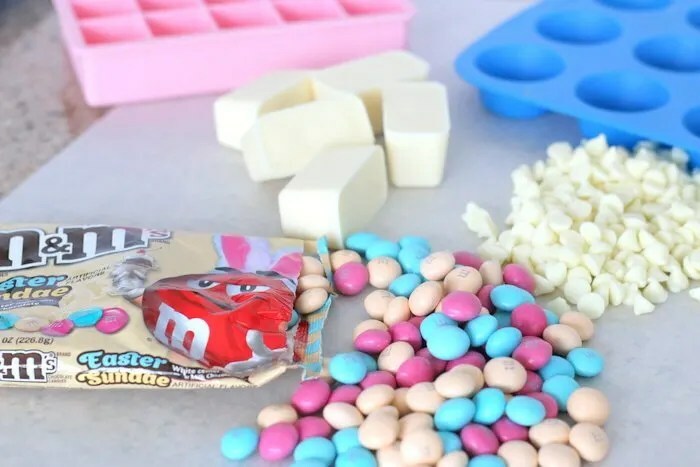 Be generous filling each cube with M&M’s®. 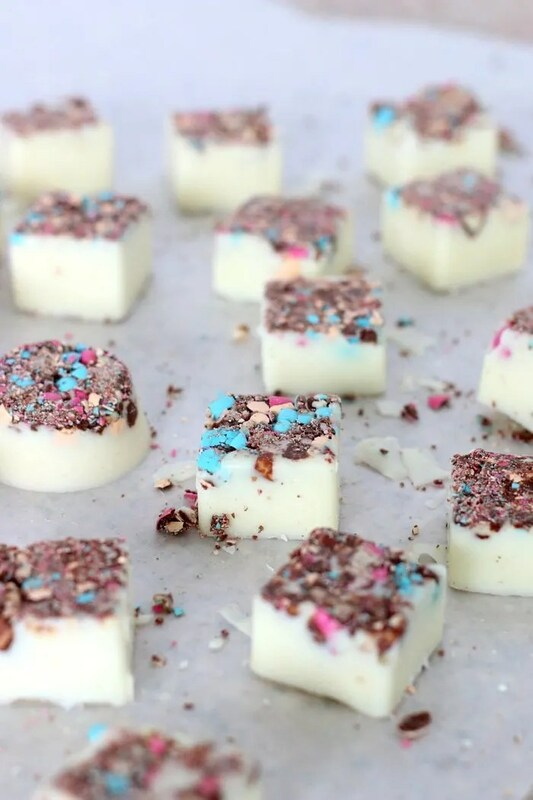 Pour the melted chocolate over the crushed chocolate candies. 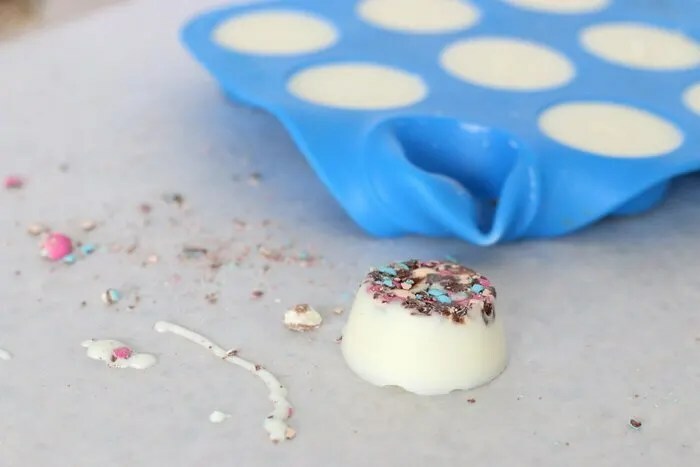 Tap the tray on the counter a bit to flatten the chocolate and remove any air bubbles. Then allow them to harden in the fridge for about an hour. Pop the chocolates out of the tray and you’re done! 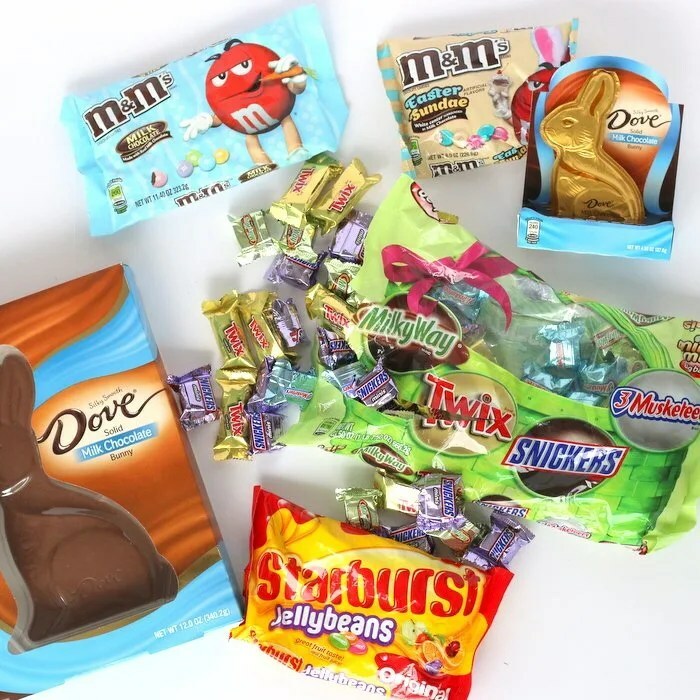 While buying the M&M’s® Easter Sundae (which are only available at Walmart during the holiday season) and the white chocolate, I grabbed a few other candies to include as small gifts for some of my coworkers. I added cutesy sayings that I knew would make them chuckle (and probably roll their eyes at me). 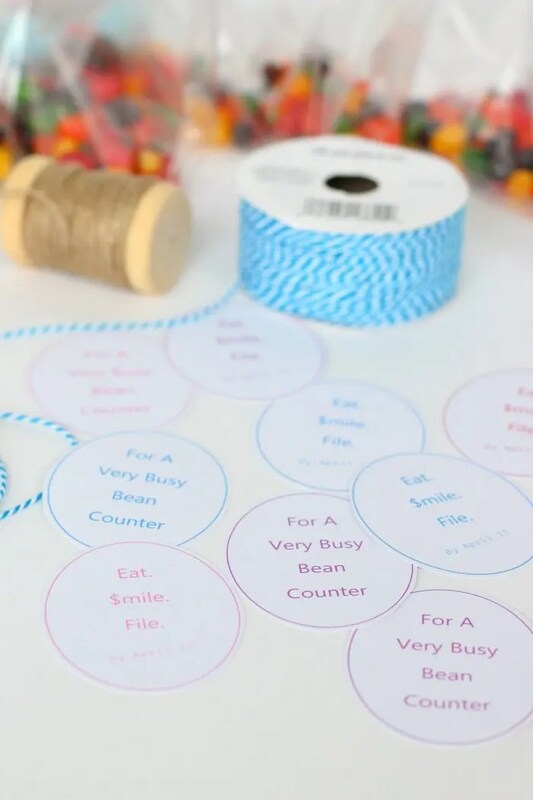 We can all use a few more smiles when we’re super busy at work. In the bag with the white chocolates, I added some mini candy bars and the M&M’s®. I tied it up with string and a little tag that read Eat. $mile. File. by April 15. I’m such a dork! I also grabbed some Starburst® Original Jellybeans. Those jellybeans and I go way back. 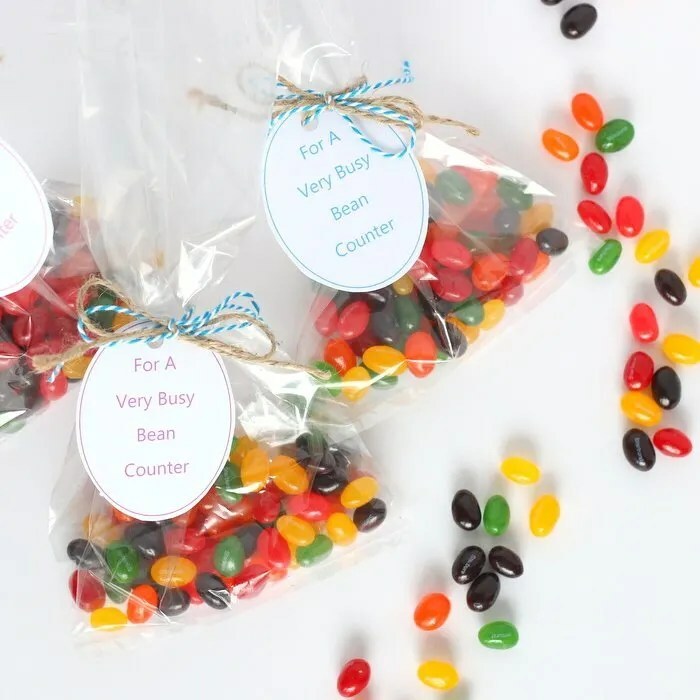 I worked on a particular team some six or seven years ago, and every year those jellybeans were a staple on our shared conference room table. Although I can’t give these specific bags to those former team members because they live in another city, they’d smile just remembering the good times we had on that engagement and all the Starburst® Original Jellybeans we popped in our mouth at that table. As an ode to them, here is a bag of sweets For a Very Busy Bean Counter. They’re all ready to be delivered to (and inhaled by) busy CPAs making sure those financial statements and tax returns are completed in a timely fashion. Need a quick pick me up for your coworkers or a busy team at the office? Or maybe just for friends or neighbors? 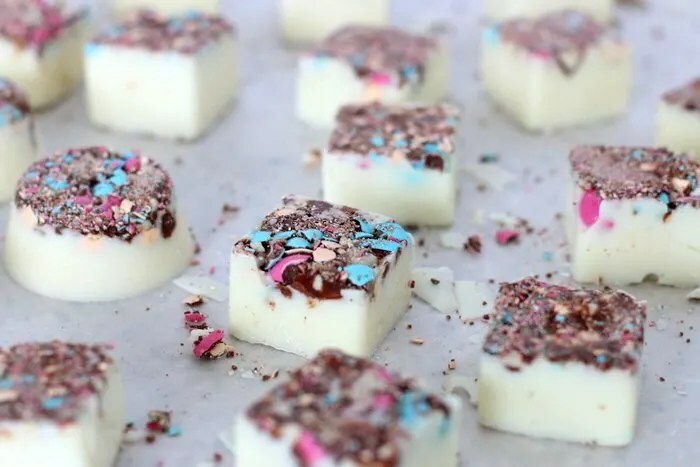 Check out more recipes and resources to a touch of homemade spark to the chocolate and candy staples of the Easter season. 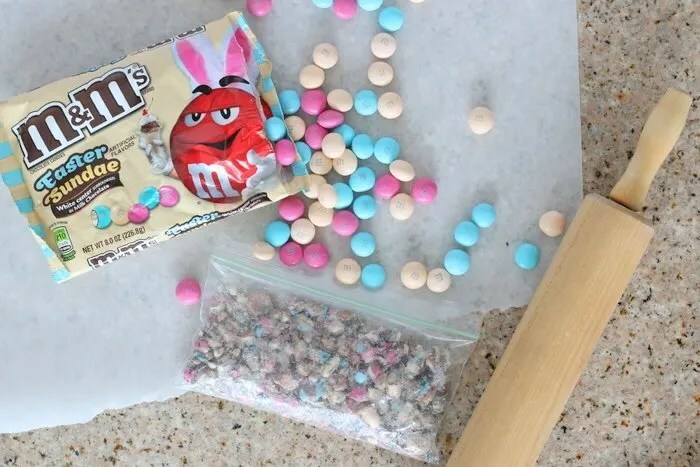 While the chips are melting, crush the M&M’s® in a plastic bag. 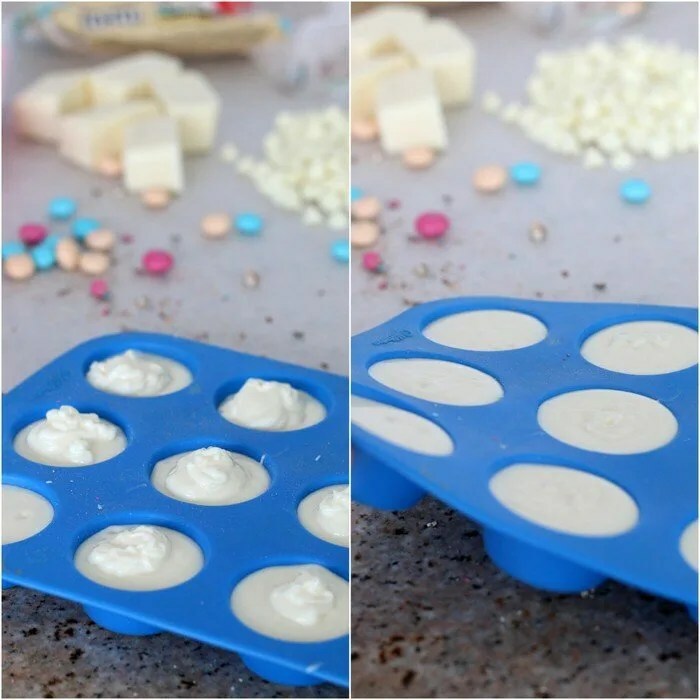 Sprinkle the M&M’s® in the silicon tray. 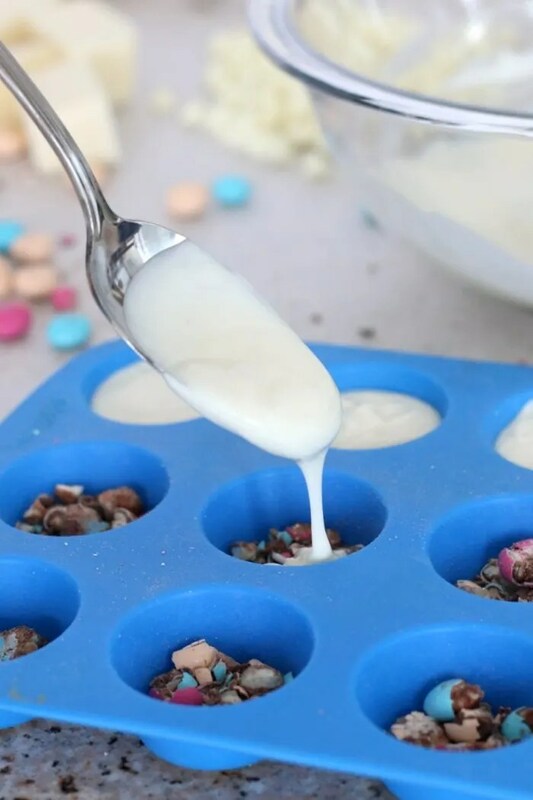 Pour the melted chocolate over the M&M’s®. Allow to cool and harden in the refrigerator for at least an hour.